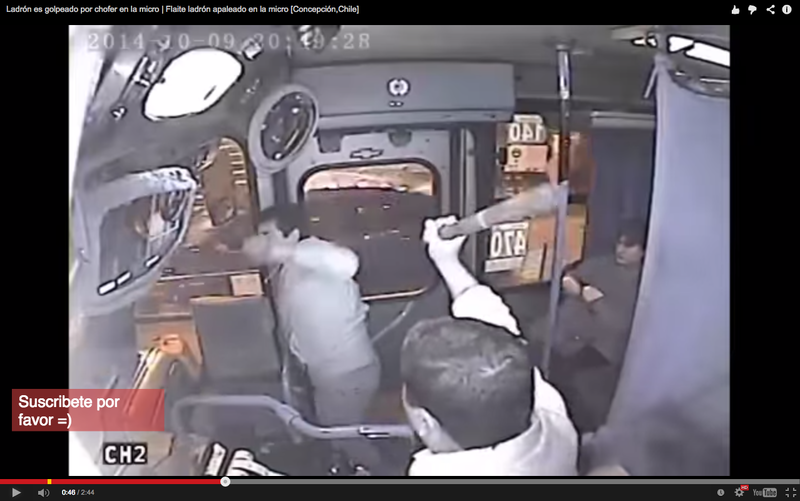 A young man tried to rob a passenger on a city bus in Concepción, a city in southern Chile. However, while trying to escape with the victim's wallet, the bus driver closed the door and started, leaving the hand of the thief caught and thus immobilised. According to information uploaded on the YouTube video, "which drew attention, was that while the assailant was hit, he tried to excuse himself saying hat it was all part of a joke and that the victim was his" Aunt Mary Field ".. . before breaking into tears simulated. " The offender is called RC Pablo Ignacio, 22, who had convictions for robbery with surprise, armed robbery, injury and robbery. For this case, is in custody.